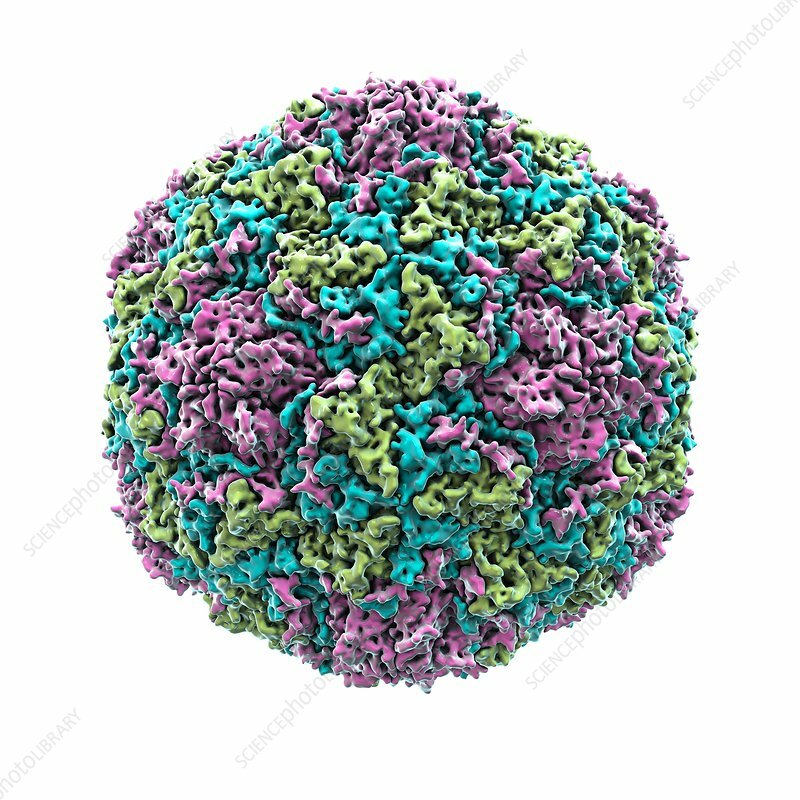 Echovirus particle, computer artwork. Echoviruses (enteric cytopathic human orphan viruses) are a group of viruses that lead to infections of the gastrointestinal tract and skin rashes. Particles (virions) consist of an outer protein coat (capsid) encasing RNA (ribonucleic acid), the genetic material of the virus. Infection occurs through contact with faeces or by breathing in airborne virions from an infected person.